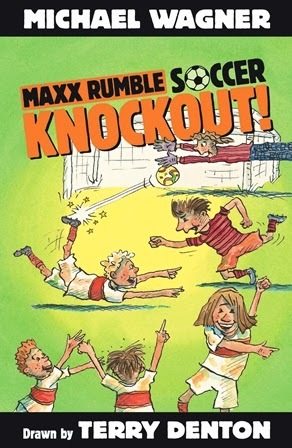 KBR loves a book series that gets boys reading, and this fabulous fun collection from Michael Wagner will have them fully-engaged. 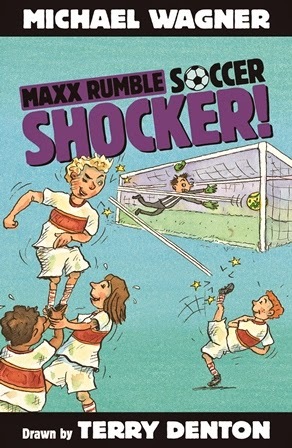 Follow Maxx, Rexx and the Stone Valley Saints through a tough (and hilarious) season of soccer mayhem. "Don t worry, Rexxy," I said. "The Giants just THINK they re smart. I bet they re even dumber than us!" "IMPOSSIBLE!" said Rexxy. Eight teams. Three weeks. One winner! That's the Soccer Knockout competition. And the Saints want to be that winner. But before they even reach the second round, they must beat a team of total geniuses! 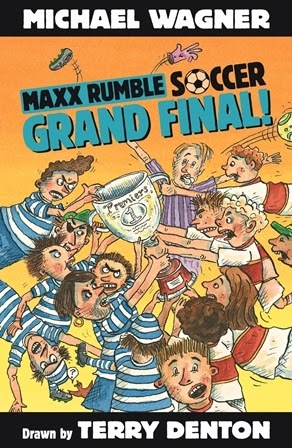 Maxx Rumble is published by Black Dog Books, and the books in this new Soccer series retail for $9.95 each.